Searching for a home within the Andover Elementary School Zone? Then you are in the right place! We work hard to make your next home search easy and efficient, so that when you are ready to buy or sell, we are ready to help. 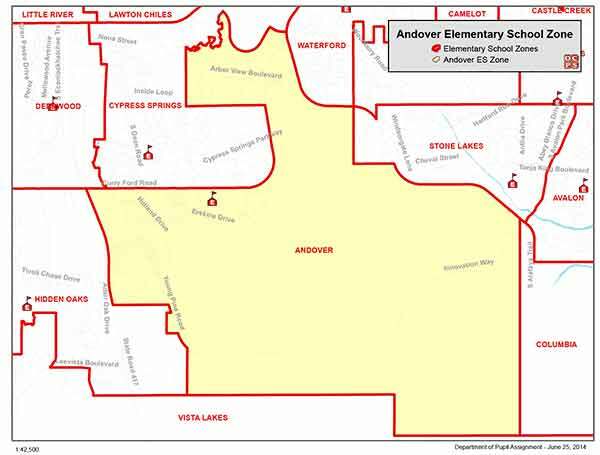 Students of Andover Elementary reside within the 32825 zip code. Andover Elementary opened in August 2005 to meet the needs of the rapidly expanding Andover Lakes communities approximately 450 students. The school recently served 838 students during the 2018/19 school year. Andover Elementary is Orange County Public Schools’ prototype design Students in kindergarten through 1st grade are on the ground floor along with Music, Art and PE. Students in second through fifth grades on the second floor. Andover Elementary was designated and ""A"" school by the state of Florida each year since 2005. Students in all grades met the high standards set by Orange County Public Schools and the state of Florida.